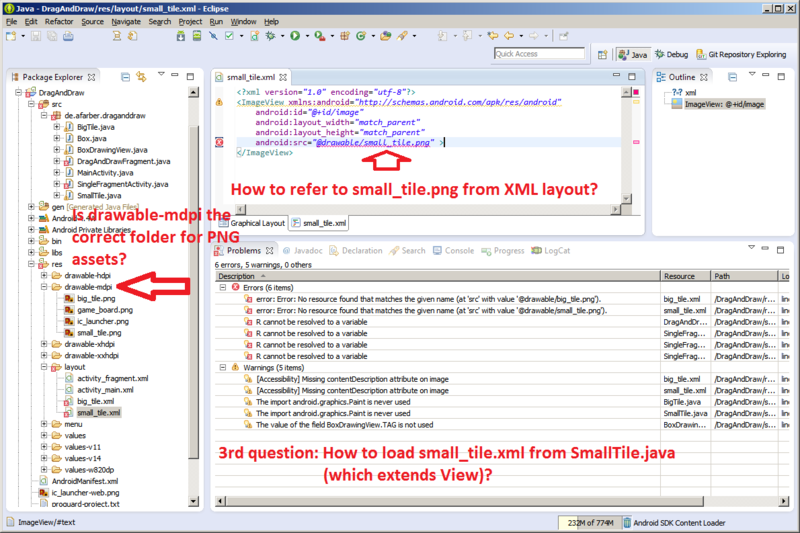 Where to put PNG files and how to refer to them from ImageView in XML layout? I would like to have 2 classes inheriting from View - SmallTile.java and BigTile.java. 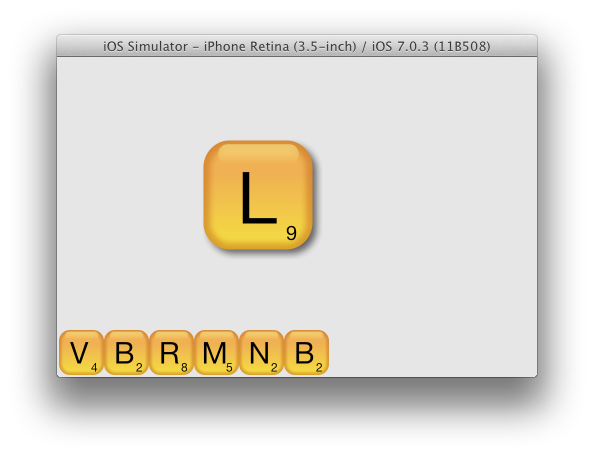 Both classes should be composed of an ImageView (id: "image") and 2 TextViews (ids: "letter" and "value"). The difference between them is that BigTile will be draggable and its "image" has a shadow. I have tried other paths for my assets as well - for example res/drawables and src/assets. Also another question: how to load the layout files from a View? There is only an ImageView in the res/layout/small_tile.xml right now, but I'd like to add the two TextViews there too (for the letter and its numerical value) - and then load it from the SmallTile.java. From the programming books I know how to load a layout from Activity or Fragment - call setContentView(R.layout.activity_main); in onCreate - but where and what to call in a View class? How can I save a string in one Activity pass it to another Activity and then come back to first activity with that? How can i use the UI object from MainActivity to other activity? The method execute(Object) is ambiguous for the type WebTask? Should I use Share Extension of Action Extension? HTTP user-agent of iOS SocialUIService? How to create buttons like in notification window on iOS8? How to intercept app events in android?